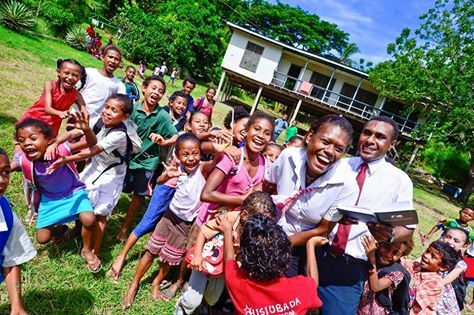 Westpac Bank is encouraging women and girls in Papua New Guinea to take a positive step towards fulfilling their potential by applying for a 2017 Westpac Women and Girls Education Grants, which offers financial assistance to help with the cost of school or university. There are six grants available – two grants for each of the three categories: primary school, high school/secondary school and tertiary/adult worker wishing to return to study. The successful grant recipients will each receive K3,000 to contribute towards their education costs. The 2017 International Women’s Day theme was “Be Bold for Change” which asks everyone to take ground-breaking action that drives the greatest change for women. To apply for the 2017 grants, women and girls are asked to answer the essay question: Tell us about a bold female who has improved the lives of women in your country. • Tertiary student/adult worker – response should be 600 words or less. Westpac has given the Women and Girls Education grants across the Pacific since 2011, in recognition of the critical link between learning and the broader empowerment of women. Grant application forms and further information are available at www.westpac.com.pg and from all Westpac branches. Applications close at 5pm Monday 8 May 2017 and must be completed using the official application form. Applications must be typed or neatly hand-written.